As I age my skin looks worse but this is a fact that all women and men will face at some point in their life some with be worse than others. When I was younger and in my late 30s I didn't have any wrinkles so I never gave it much thought, why should I worry about lines and wrinkles when I had no. Oh boy I wished I knew then what I know now. I wonder why I thought I could be the exception to this rule, maybe it was because I have the good fortune of looking younger than what my age is. My Dad is this way and this is the best gift he gave me. I still look young for my age but I can see some lines and mild wrinkles with lots of skin discoloration. 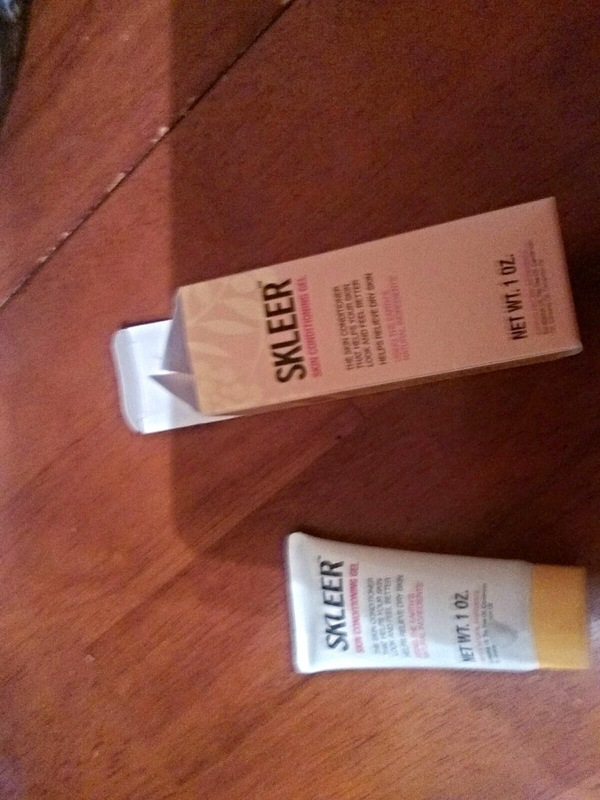 I was lucky to have gotten to try the Skleer Skin Restoration Gel, it is all in one product! It will correct fine lines and wrinkles and will even skin tone. It is a pleasant skin conditioner that will absorb quickly into your skin, it will not leave you face feeling oily or sticky you can use it anytime of the day. 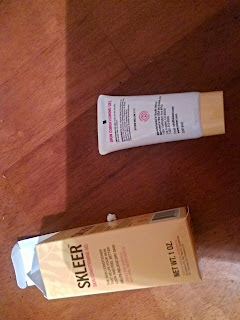 It is doctor and dermatologist recommended. It is safe for all skin types even if your skin is sensitive, it is know to help with Dermatitis. Skeeler with aid your dry skin issues will help people with Eczema, skin rashes will aid in insect bites, minor burns, hives, sun and age spot, sunburn, pimples, it seems more like what will it not help. I have a dry patch of skin on my forehead and in two weeks that dry spot in gone this really works. 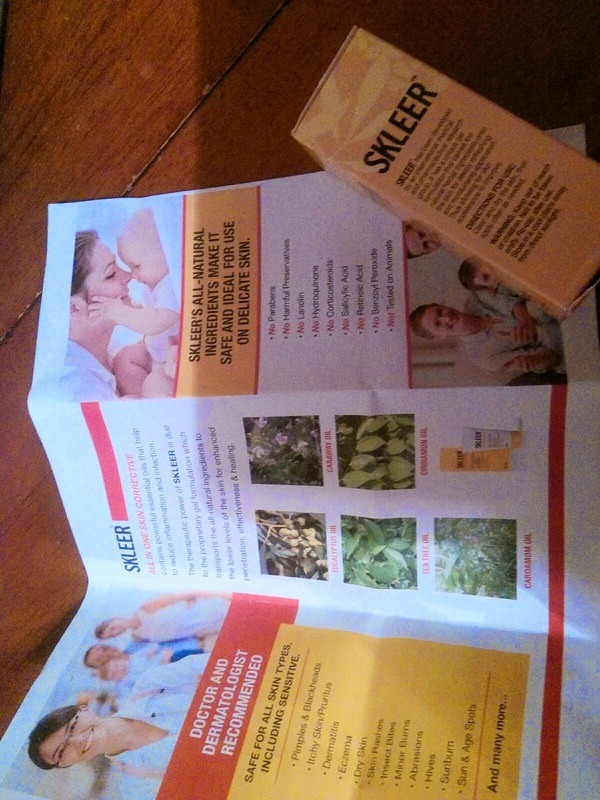 Skleer is a all natural product this is why it can address so many issues. It is made with Tree Tea oil, Eucalyptus oil, Caraway oil, Cinnamon oil, and Cardamom oil. It doesn't contain parabens, perseratives, salicylic acid, hydroquinone or lanolin, all these chemicals that will harm you skin. 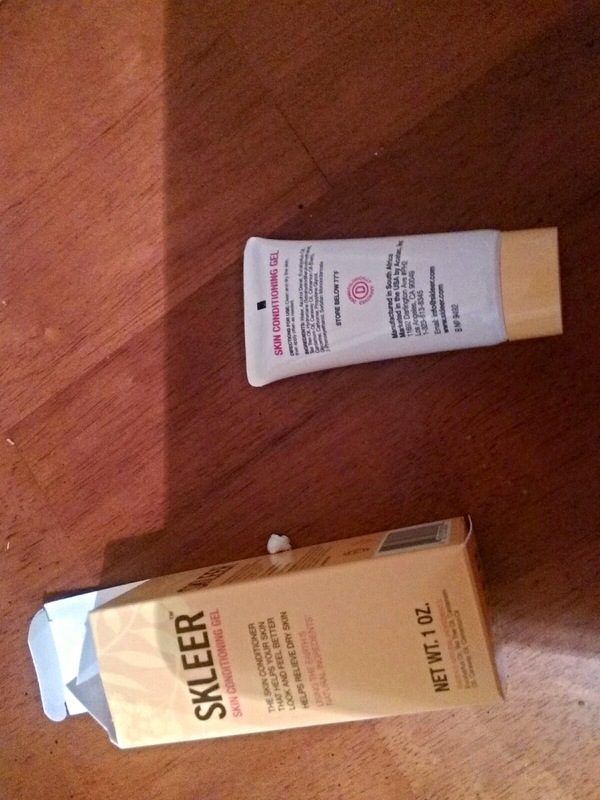 Skleer is a unique product the first of this kind that I ever tried before. It worked good on diminishing my fine lines. I burned my skin on the oven the other day and I applied this to the burn and it soothed my skin very quickly. I love using products that are all natural they work and help the skin better than others that aren't all natural. Skleer will "never' test their product on animals a huge plus in my book, plus it is great at address so many skin issues. Try it today or entered to win a tube for yourself, you see what a valuable product it is to own. I received this for product testing purposes and this is my honest and unbiased opinion.